According to a new study, sedentary TV watching has been linked to an increased risk of colorectal cancer for younger Americans. The study has appeared in journal JNCI Cancer Spectrum. Globally there is an increase in young-onset colorectal cancer, diagnosed under age 50 as a result of cancer screening initiatives. Young-onset colorectal cancer is typically more aggressive and found at a more advanced stage than those in older patients, resulting in greater years of life lost. 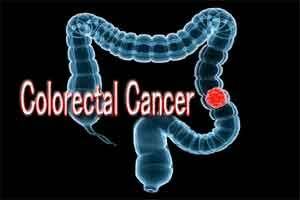 Young-onset colorectal cancer has potentially different molecular characteristics compared to those of late-onset. In the instant study, Researchers have identified a few risk factors specific to young-onset colorectal cancer. They identified a connection between prolonged time spent sitting while watching TV and increased risk of colorectal cancer.They studied sedentary TV reviewing time, as well as other sedentary behaviours, in 89,278 American women in the Nurses’ Health Study II. Of the 118 cases of young-onset colorectal cancer diagnosed over two decades of follow up, more than one hour of daily TV viewing time was associated with a 12% increase in risk compared to those who watched less. The results were even more striking for those watching more than two hours/day with a nearly 70% increase in risk. This association was independent of BMI and exercise and was consistently observed among women without a family history of colorectal cancer. The association was also more pronounced for rectal cancer compared to colon cancer.